Padgetts Racing will field an impressive two-rider line up at this year’s Classic TT, presented by Bennetts, with Conor Cummins and Lee Johnston contesting two races for the Batley-based outfit. Cummins will again campaign a 750cc Yamaha OW01 in the RST Superbike Classic TT Race while Johnston will have his first taste of two-stroke racing around the Mountain Course riding a 250cc Honda in the Dunlop Lightweight Classic TT Race. Manxman Cummins has ridden the OW01 for the last two years, finishing a fine fourth in 2016 and backing this up with sixth in 2017 and he has also lapped at an impressive 122.216mph on the ex-Rob McElnea machine. 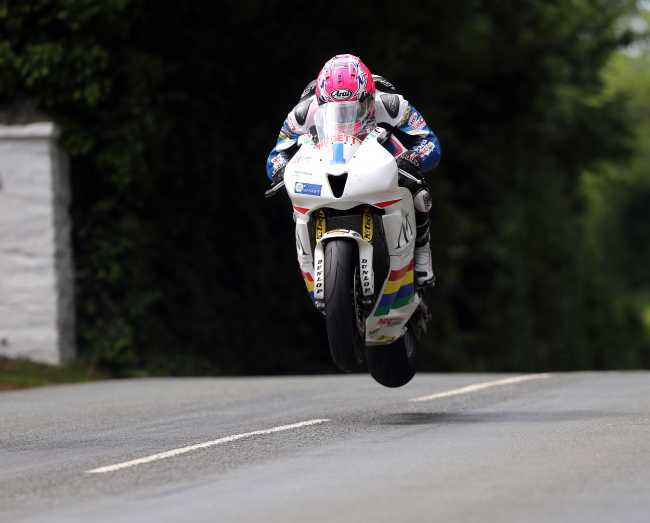 Johnston will ride a similar 250cc Honda to that ridden to victory by Bruce Anstey in each of the last two years, when he also became the first and only rider to ever have lapped the 37.73-mile circuit at more than 120mph on a 250cc machine. The lap record currently stands at 120.475mph. The Padgetts Racing team have supported the Classic TT presented by Bennetts, since 2014 when they first fielded Anstey on a YZR500 Yamaha in the Superbike Classic TT Race. The New Zealander won the race that year and followed that up a year later with second place to Michael Dunlop. He again finished second in 2017, this time to Dean Harrison, setting a new lap record of 127.496mph, the fastest lap ever by a two-stroke machine around the Mountain Course. Creg ny Baa in the Motorsport Merchandise Superbike Classic TT race. Lee Johnston on the Padgetts Racing Honda CBR600 at 2018 Isle of Man TT Races.